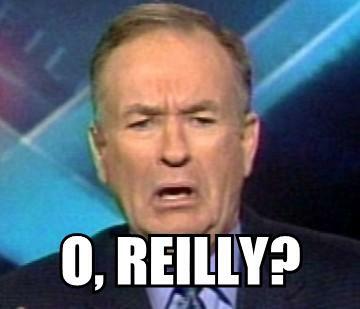 Can Bill O'Reilly be an even bigger douche? Why YES, he can! I know this story is a couple of weeks old, but it's still one of those moments. On the July 31st broadcast of whatever B.O. calls his show, he ranked all over the transgendered mayor of Silverton, Oregon mayor Stu Rasmussen. In his very special douche bag way, he made inferences that people need to be "protected" from us. I mean really...I bet Bill-O is a closet chaser or dresser!!! Check out the story and Bill-O's segment HERE. Really not too surprising from the Likes of Mr. O'Reilly. I'll bet he was abused in Catholic school. He's just getting nuttier and more poorly informed as time goes on. i actually sort of liked Stu's outfit but i prolly would have worn something more conservative for an interview. That being said, this is Oregon and up here we do things a little differently.